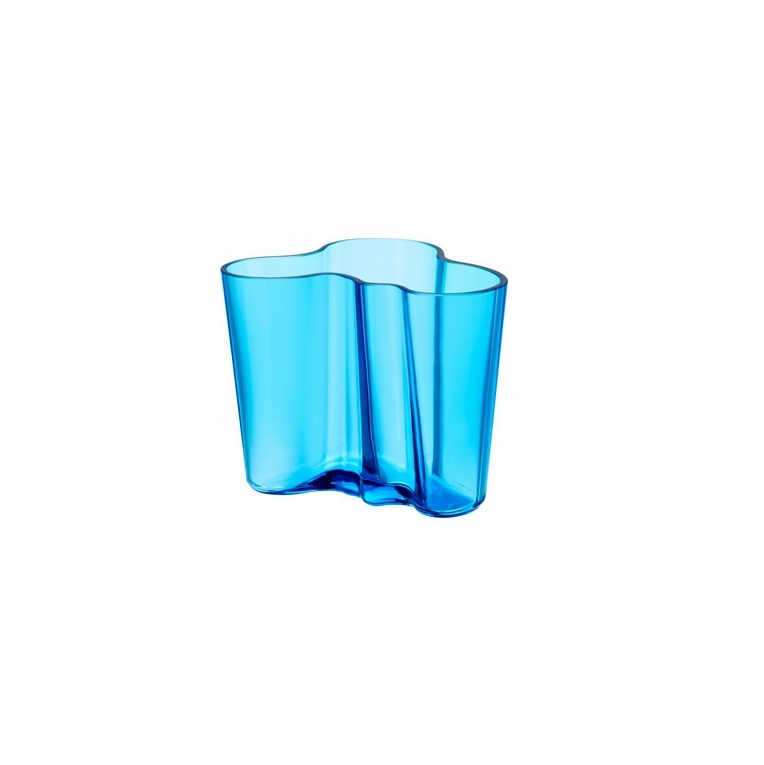 Home > iittala Aalto Turquoise Vase - 3-3/4"
iittala Aalto Turquoise Vase - 3-3/4"
A bright turquoise hue is the newest color addition to iittala’s glassware collection for 2012. A deeper shade of blue than the light blue of 2011, the turquoise shade grows bolder as it rounds the folds of the vase, and becomes more subdued the further out it stretches. Whether used for function or merely decoration, this beautiful vase will add charm to any room.The Story of a Classic. Watch this documentary to learn all about Alvar Aalto's masterpiece. Reviews of iittala Aalto Turquoise Vase - 3-3/4"
Questions & Answers for iittala Aalto Turquoise Vase - 3-3/4"